It is a cold overcast day with drifting snow and a wind chill of -27 degrees Celcius. Nobody is out who doesn't have to be. 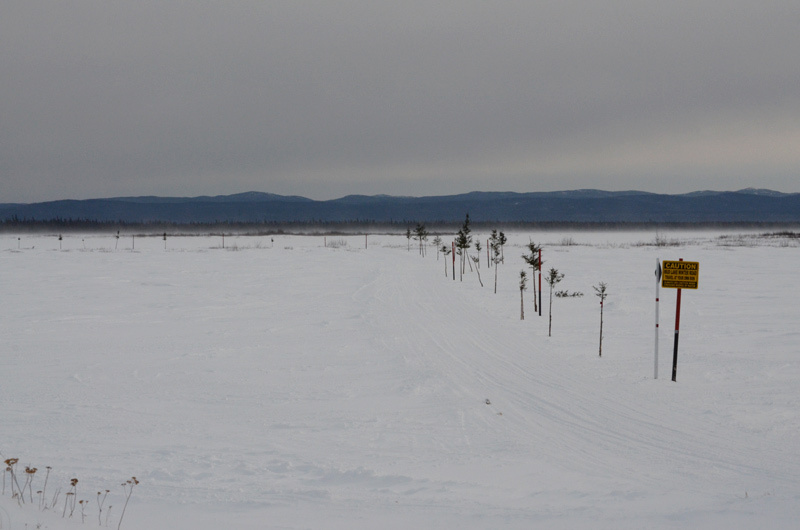 This is the ice road to the community on the other side of the river. The trail is intended for snowmobile traffic and it is marked with trees frozen into holes in the ice to show the location of the track. The sign reads: "Caution: Mud Lake Winter Road. Travel At Your Own Risk. Always Use Caution When Crossing Bodies Of Water."